Network. Weekends, especially busy ones, are opportune times to network. Think about it – if you’re and about, how many people are you seeing in any given weekend? Probably a fair amount. Consider chatting up your neighbor at places like your kids’ soccer games, weddings, fitness classes, picnics – you get the idea. Or you can make networking the point of a weekend activity. Set up a coffee date with a mentor or a friend you’ve been meaning to connect with. Revamp your resume. Set aside an hour or two to revamp your resume. If you don’t have that much time, break it up into manageable chunks, but give yourself a deadline so you aren’t dragging out the process. 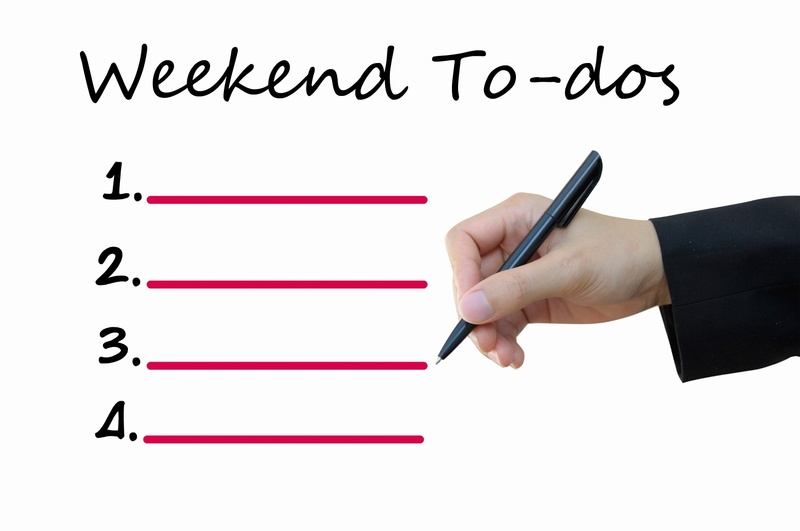 The goal is to use the weekends to help you move your job search forward. Take a class. Find a workshop that will help you improve your career skills. Are you a graphic designer? Take a class on a new design program you’ve been meaning to learn. Or take a class around your hobby. Surrounding yourself with like-minded people will make it easier to strike up a conversation, and you never know where that conversation will lead! Clean up your digital presence. Spend some time on your social networking profiles untagging inappropriate photos and set your privacy settings appropriately. Head to the library. The library is a great resource for job seekers. Not only will you find books on career transitions and job search tips, but some libraries even offer one-on-one help with your resume. Plus, most libraries have computers available for public use, giving you a quiet space to focus on writing your cover letter and resume. Give your local library a call to see what job resources they offer. What if you only have one free hour this weekend? That’s still plenty of time to move your job search forward. Use that hour to revamp your resume. Heading out for groceries? Look for an opportunity to chat up a fellow grocery shopper. Tell us: How do you use the weekend to move your career forward?